Pedders Suspension and AfMA announce Corporate Partnership | Pedders Suspension – The Car Suspension Specialists! The Australasian Fleet Management Association is pleased to announce a new Corporate Partnership with Pedders Suspension. The organisation will join existing partners Manheim, NTT Data Figtree Systems, RedBook and Kids Under Cover in supporting the members of AfMA and the fleet management industry as a whole. Pedders Suspension is an Australian family owned company that has been operating since 1950. Its 120 plus franchise and dealer store network prides itself on offering “No Bull” aftermarket parts and tailored vehicle solutions in five key automotive aftermarket product categories: Shock Absorbers, Suspension, Brakes, Steering & Wheel Alignment. Of particular interest to fleet owners is Pedders ability to offer tailored solutions for GVM+ suspension and brake upgrades as well as its $75, Pedders tow and load assessment. The Pedders tow and load assessment is vital to determine the effects of weight on fleet vehicles for fleet managers and is powered by Pedders world first Weight Matrix software. As part of the collaboration Pedders and AfMA both understand the vision of linking knowledge and people together to create successful outcomes. This new partnership is designed to help further increase the professionalisation of the automotive and fleet industries and to provide opportunities for organisations to thrive in their objectives. Pedders desire to advocate and support the industry also includes providing a scholarship for the Swinburne Diploma of Leadership & Management. This Diploma is the ideal stepping stone and provides essential leadership and management skills for all automotive and fleet industry participants. 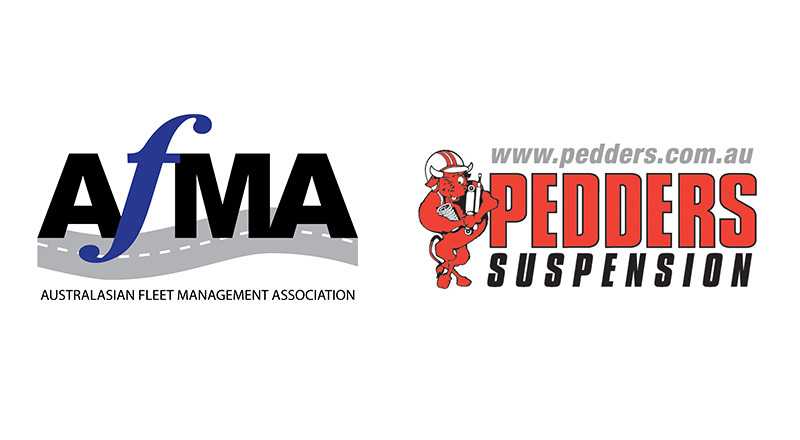 As a peak-industry body AfMA is proud to officially welcome Pedders as a new Corporate Partner and we look forward to forming deeper connections with their organisation and our members.